Greetings. Please accept my heartfelt thanks for agreeing to participate in an important initiative focused on advancing the scientific foundation for family-school partnerships. This working meeting, Research on Family-School Partnerships: An Interdisciplinary Examination of the State of the Science and Critical Needs, is sponsored by the Nebraska Center for Research on Children, Youth, Families and Schools (CYFS), with partial support through a grant awarded by the National Science Foundation. CYFS is particularly proud to welcome you to Omaha, Nebraska for what will be an intensive and provocative working meeting on research issues and agendas. 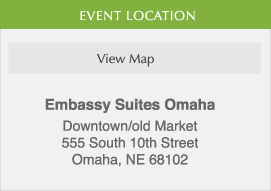 Collectively, the group convening in Omaha on September 20 and 21 represents some of the most prolific, influential researchers in the field, and we anticipate a rich and meaningful discussion culminating in the articulation of an important research agenda and plans for continued dialogue, dissemination, and research productivity. In the following pages, you will find material intended to orient you to the work we will begin together on September 20. Please review this information carefully, as it will help to introduce our goals, plans, and framework. Importantly, please read the enclosed thematic paper, Future Directions for Family-School Partnerships Research, as it represents both the excellent contributions already made by some of you, and the structural framework by which the meeting will be organized. Please also take some time to think about (and even respond to) the thought questions accompanying the paper. In part, these questions will guide the discussions at the meeting. Considering the issues in advance and taking the opportunity to form initial thoughts and opinions, will ensure that your best thinking will become part of the agenda. Given the complex needs and issues associated with advancing a new research agenda for the field, we envision this time together not as a static and time-limited meeting, but rather the beginning of collaborative, dynamic partnerships. We propose the development of an interdisciplinary working group, the Interdisciplinary Alliance for Partnerships Research (IAPR), to define the energy and synergy that our work will create, and the products (e.g., edited texts, chapters and papers, symposia, grant proposals, research studies) that will surely result. We look forward to your ideas and input about the form and direction for this group in the future. To say that I am excited to begin this work with you would be an understatement. Please join me in thinking big and envisioning an exciting future for research on family-school partnerships, and their potential to make a significant difference in the lives of the children and youth about whom we all care deeply. This working meeting was sponsored by grants awarded to Drs. Sheridan, Kunz, Nugent, and Bovaird by the National Science Foundation (#0921266) and the Education Research Conferences Program of the American Educational Research Association. The opinions expressed herein belong to the grantees and do not reflect those of the funding agency.